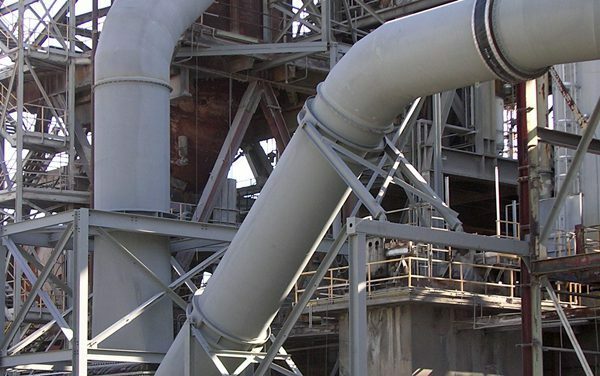 If you are an OEM of custom products manufactured with steel assemblies or you have a manufacturing facility that has manufactured steel systems like duct work, mezzanines, structural steel, and dust collection systems, then your business is likely affected by the fluctuation in material costs. Companies like yours can lose more business opportunities if the price of steel goes up substantially. Capital projects can get pushed back another year if steel costs come in above your projected budget. GSM Industrial carefully watches the variations in material costs of carbon steel, stainless steel, and other metals we use in manufacturing. For the majority of our projects, 30% of the total project value is Material Costs. Therefore, to properly bid on future projects, our team keeps track of steel costs and the forecasted ebb and flow of steel market prices. We have put together the following cost forecast to help OEMs of custom products that rely on steel. July was a good month for manufacturing in the United States. The US Labor Department stated that 209,000 jobs were added to the national economy and the unemployment rate fell to 4.3%, which is the lowest level since 2001. The Dow Jones Industrial Average reached historic highs, surpassing 22,000. US Manufacturing, measured by the ISM Index, continued to remain strong, expanding in July. GSM Industrial has also seen growth over the past 5 years. So far this year steel prices have held steady. Forecasts for the remaining year (2017) seem to be optimistic that this trend will continue, barring a black swan event. Morgan Stanley forecasts that Iron Ore Commodity Market costs will “stay flat” while global surplus will expand through 2021. The main advantage of flat market costs in our industry is the ability to provide more accurate bids to our customers. China produces about half of the world’s steel capacity. There, factories are mostly state-owned and heavily subsidized by the Chinese government. In 2016, China was 11th on the list of suppliers to US companies. Over the past years, due to the massive amounts of excess production by China, the world market has become saturated, driving down the price of steel. To compete, the US and other US suppliers (Canada, South Korea, Japan, and Germany) have had to lower their respective prices to remain competitive. Current trade restrictions limit the amount of China steel allowed into the US economy. However, to circumvent the system and restrictions that are in place, Chinese steel has been funneled through other countries into the US. These include countries like: Vietnam, South Korea, Russia, and the Ukraine. Because of these tactics, and the effects on Steel Manufacturers in the US, the government announced that it is currently considering imposing tariffs or quotas on foreign steel imports. This tactic may or may not come to fruition with the current political leadership. If tariffs are imposed, it would not be unprecedented, as both the Reagan and Bush administrations faced similar decisions in recent history. The effect depends on your business, and if you are a buyer of steel or manufacturer of steel. The steady, low price of steel will have a positive impact on manufacturing businesses that rely on steel assemblies or systems comprised of steel. This would be beneficial for GSM Industrial and other businesses that use steel in their manufacturing. As a manufacturer, lower prices mean slow growth. The important aspect for both markets is low volatility. Consistency allows the steel industry to project costs and plan accordingly, allowing proper pricing and stable margins. If steel market costs continue to “stay flat” as global surplus expands through 2021, we should have a steady 2017 for our industry. *All the news figures, articles, and press releases occurred in July 2017.